Climate disclosure is closer than ever to becoming a part of mainstream financial reporting. One of the initiatives bringing it into the mainstream is the Task Force on Climate-Related Financial Disclosures (TCFD). 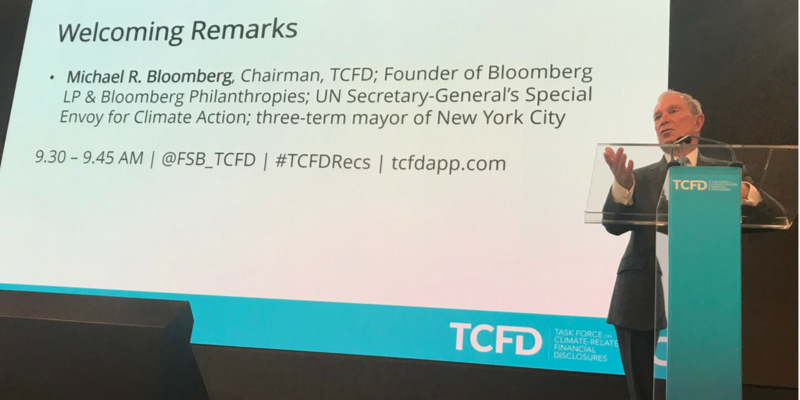 Chaired by Michael Bloomberg, the TCFD is a private-sector led initiative under the G20. It has crafted a series of recommendations for climate change disclosure that apply to all industries (find out more). 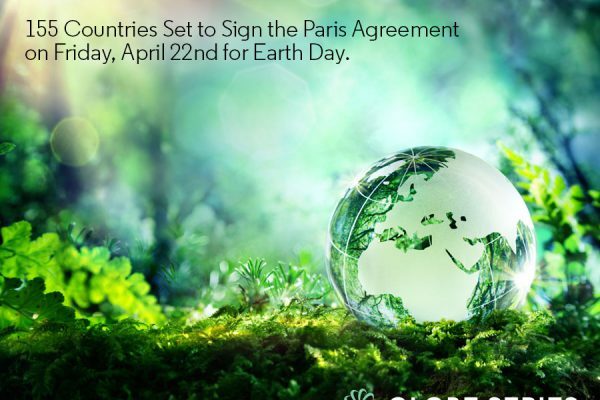 To date, more than 100 companies (including Barrick Gold, Shell and Unilever) around the world have signed up to support the TCFD and implement the recommendations. In addition, a combined 390 investor groups representing more than USD $22 trillion in assets signed a letter called upon G20 leaders to support the TCFD recommendations. Scenario analysis in the context of climate change is an entirely new exercise for most companies. Because of investor pressure, companies are scrambling to conduct scenario analyses at a time when no best practices or standards exist for most sectors. 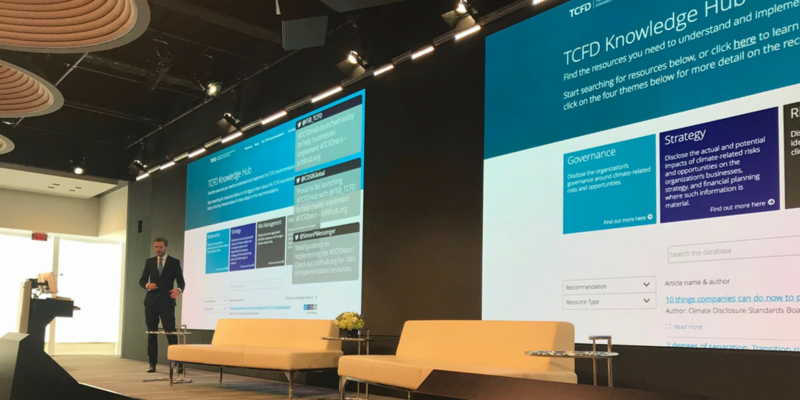 In light of this challenge, the TCFD held its first-ever North American event on the topic of scenario analysis on May 1st in New York. I was lucky enough to attend, alongside approximately 200 investors, issuers, regulators, and others. Over the course of the day, it became clear to me that it will take several years to agree on what scenario analysis should ultimately look like. The reporting community (including issuers, investors, non-profits and governing bodies) has not yet reached a consensus on how standardized scenarios ought to be. The TCFD built a small degree of standardization into the recommendations by suggesting all companies use a 2-degree scenario. At the moment, companies can determine what those 2-degree scenarios look like, and which other scenarios they decide to use (the recommended number is three to four in total). On one end of the spectrum, advocates like Stan Dupre, CEO of The 2° Investing Initiative, propose that a third-party organization choose and design the scenarios that all companies use. This would (1) reduce costs, (2) eliminate the ability of firms to choose scenarios that are favourable to their existing business strategies, and (3) improve comparability for investors. This is the direction TCFD panelists, governing bodies, investors and non-profits largely leaned towards. 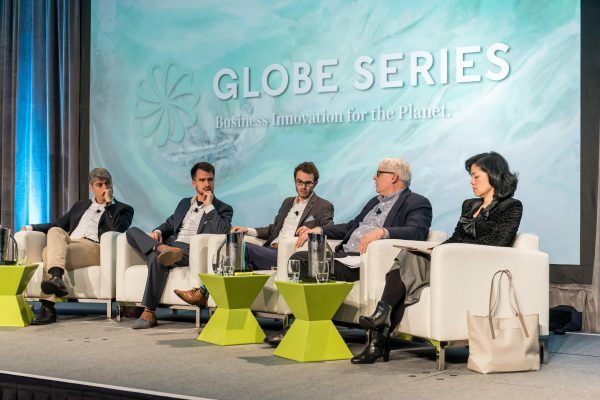 On the other hand, at the event Val Smith, Managing Director and Global Head of Corporate Sustainability at Citi, made the argument that complete standardization would undermine the value of projecting many different futures between companies, as you never know which one may be true. This position was favoured by issuers. Today we are slowly moving in the direction of a middle ground. There are some industries, like banking, that are banding together through initiatives like the UNEP FI TCFD implementation pilot project to standardize scenarios for their sector. 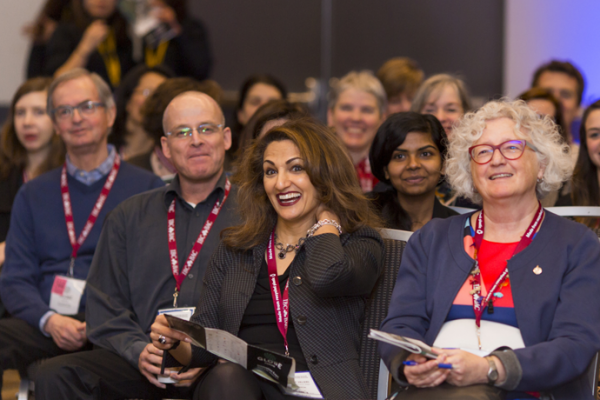 A growing number of open-source and free resources are being made available to help companies with scenario analysis through organizations like the The 2° Investing Initiative, the Climate Disclosure Standards Board (CDSB), and the TCFD itself. These resources will reduce the barriers to entry for smaller companies, and reduce the variability in scenarios being used. Meanwhile, there will still be space for bigger firms with more complex climate risks to design their own scenarios. Whatever the final product looks like, it will take years of practice and negotiation to reach a standard approach. Disclose material climate risks in financial filings – Many companies have resisted incorporating the TCFD recommendations in financial filings, citing legal barriers such as liability exposure arising from making forward-looking statements about climate-related risks. However, liability from reporting on climate change in financial filings is a red herring. According to Curtis Ravenel, Global Head of Sustainable Business and Finance at Bloomberg L.P. and member of the TCFD Secretariat, “A company is liable for not appropriately reporting on climate risk regardless of where the reporting occurs.” Ultimately, a company can reduce its risk of liability by disclosing according to the guidance of the TCFD, whether in financial filings or not. A company should instead approach the question of whether to include scenario analysis in financial filings by considering the materiality of climate risk. 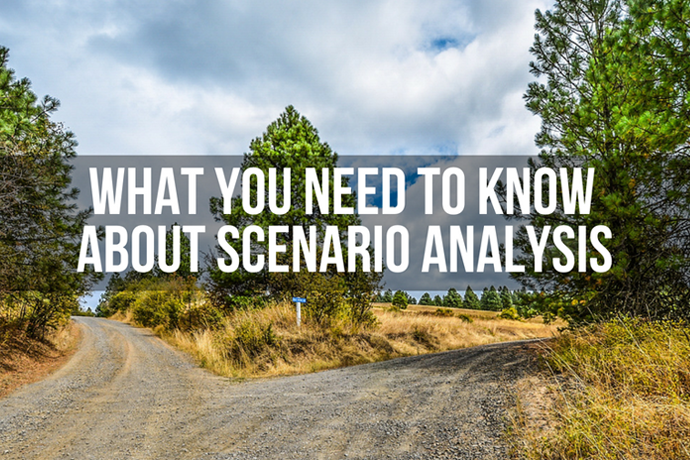 When it comes to scenario analysis, there will be a lot of information to sift through over the coming months and years in terms of resources available, best practices emerging from different industries, opportunities for collaboration, and regulations that are starting to incorporate TCFD standards. We’ll be watching this evolution with a keen eye and will keep you updated on key developments. Ingrid Hoffmann is a consultant with The Delphi Group. If you are a Delphi client and you would like to hear more about the TCFD Scenario Analysis session, please contact Ingrid at ihoffmann@delphi.ca.